A mask designed specifically for children aged two and older. Designed specifically for children, the Pixi™ Nasal Mask is a pediatric innovation ensuring comfort of both mask and therapy experience for both wearer and caregiver alike. 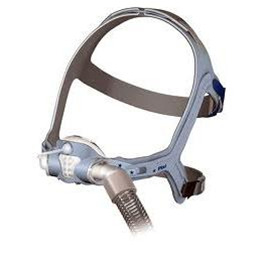 Adjustable headgear creates a custom fit for easy wear, and mask construction is gentle on the unique bone structure, facial characteristics, and sensitive skin of young ones aged two and older. The Pediatric Pixie™ Nasal Mask paves an easy transition into a positive therapy experience and sets the stage for a successful sleep therapy future.